Potential early Derek Clarkson - Thoughts or alternatives? 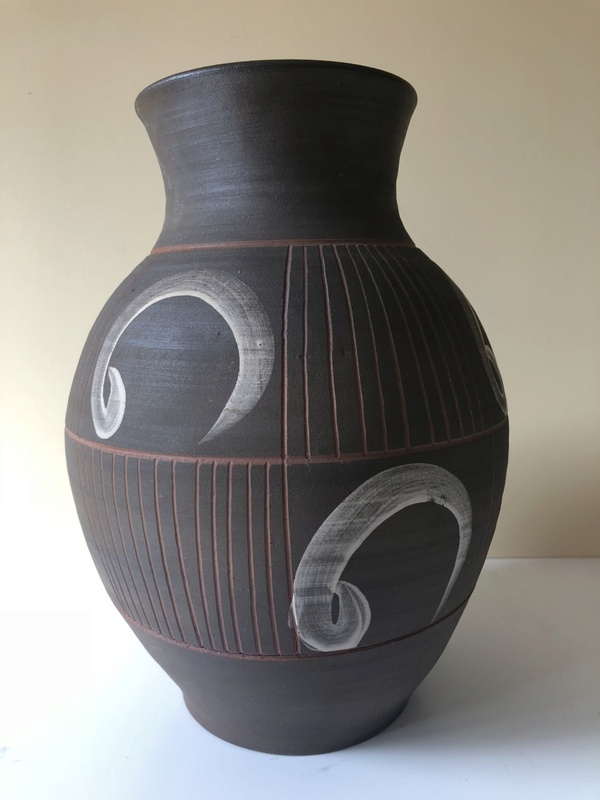 So I have come across this beautiful large vase, and the only id I can come across is a similar base and paint mark for "Rossendale Pottery - Derek Clarkson"! 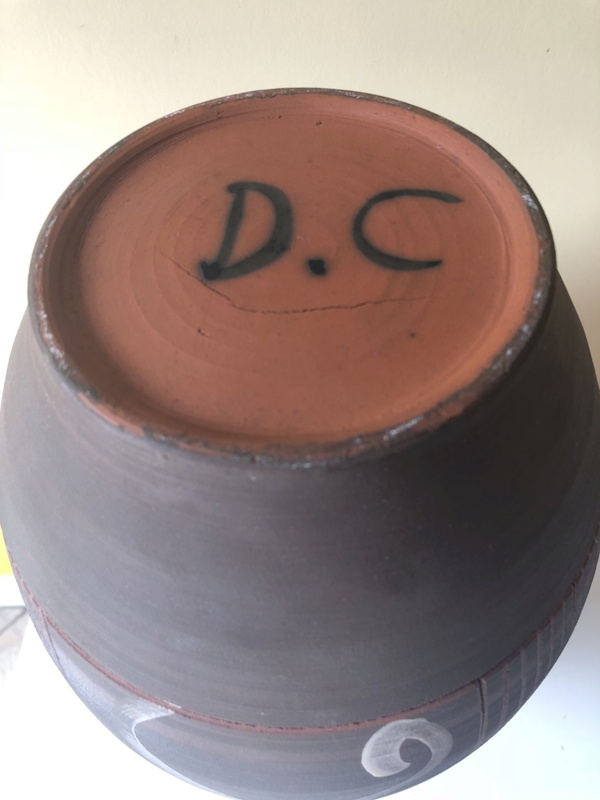 Not entirely convinced - but the same type clay, mark and base - so I wondered if you had any other thoughts - as I appreciate most are stamped opposed initialled. Re: Potential early Derek Clarkson - Thoughts or alternatives? This is an example I have of Clarkson’s Rossendale Pottery; doesn’t strike me as quite the same style. If it were Rossendale the only real interest would be completist or historical. A curiosity. As is 99% of the rest of the stuff posted here. Sort of why this website is here, isnt it. Which might well a critique of the site. We see a good deal of the ordinary and downright dull, and not enough of the best and brightest. It might well be an interesting subject for another thread. Thank you both for your points... either way - whilst it might not be his typical more modern work - it has a great shape and style about it - and impressive with its size. I thought i would ask. Thank you again.